Dr. Agrawal is an Assistant Professor and the Director of Global Health Education in the Yale University Department of Emergency Medicine. She is a Global Health specialist with a specific focus on refugees and other displaced populations. Her research focuses on the use of various field methodologies to study the outcomes of forced migration and implement sustainable interventions to affect the challenges these populations face. In collaboration with international, national, and local community partners, she is currently conducting several projects that aim to better understand the physical and mental health impact of displacement on resettled populations in the US, create more effective programs to assist in the resettlement process, and explore the effects of the recent changes in the national health insurance environment on resettled refugees. Her recent work includes assessing health literacy, healthcare and insurance access, and long term health outcomes for refugees resettled in the US, establishing a digitized public health surveillance system at a major mass gathering in India, studying sexual violence among refugees in Cameroon, exploring public health implications of communal sheltering after the 2011 disasters in Japan, and training Bhutanese medical providers on emergency and trauma care. 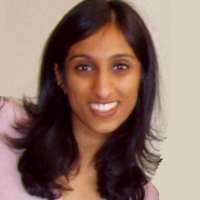 Dr. Agrawal holds national leadership roles including executive board membership in the Academy for Women in Academic Emergency Medicine and the Global Emergency Medicine Academy. She is on the Board of Directors for the Integrated Refugee and Immigrant Services, the local refugee resettlement agency in New Haven, CT, and works closely with the research arm of the resettlement group at the International Rescue Committee. She holds faculty appointments in the Yale University School of Medicine, the Yale Center for Asylum Medicine, and the Harvard Humanitarian Initiative.